are now available at the Gamadin Store. "Signed" 1st Edition Hardbacks are available at the Gamadin Store! with 16 actors and special effects. 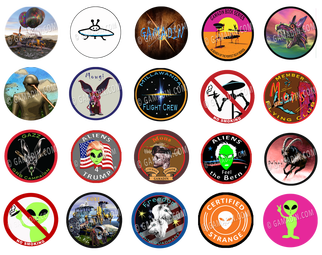 buttons all designed by author, Tom Kirkbride. visit the Gamadin Store and get yours. Each button is 2.25 inches.